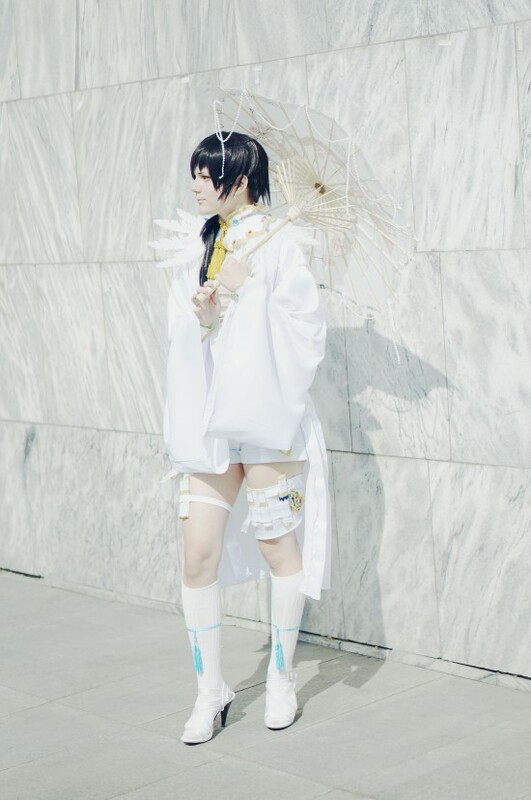 Shiro Yoshiwara from Adekan is a slender and beautiful umbrella craftsman with the skill of concealing weapons on one's body. Hi, "Adekan" is a Japanese manga created and illustrated by Tsukiji Nao. 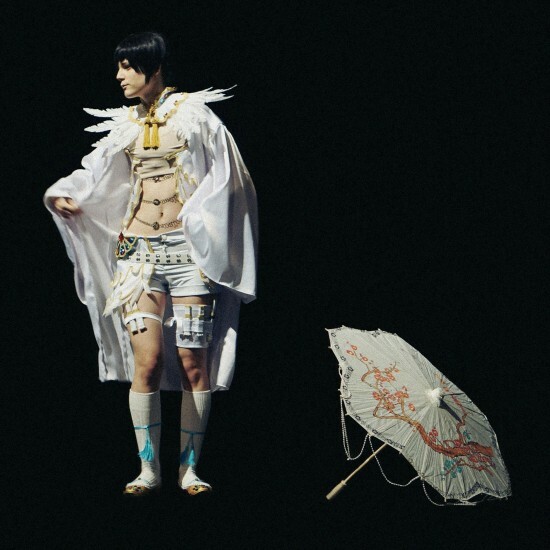 One of its main characters, the androgynous Shiro Yoshiwara, was beautifully portrayed at Comics Salón 2014 in Bratislava. An amazing cosplay outfit. Those kitten heels are the cutest. Are they white or clear, I can't really tell.